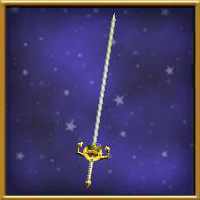 We have many awesome wand designs in Wizard101. Can you guess which wand designs are the most popular wand stitches? Some of them are pretty obvious if you’ve spent any time in the Arena! There might be a few surprises though. Let’s take a look at what wands our overlords use! For this guide, I collected pictures of 389 overlords with their wands. Yes I know 389 is a weird number to end up with. I got bored at that point, okay? It happens. Why overlords and not just anyone I ran into? I have two reasons. First and foremost, I was actually collecting data for a different article that will take a little longer to write. For that article I specifically needed overlords, so it made sense to use the same wizards for this article as well. In addition, I feel the Arena is a very good place to collect data for a fashion article. There aren’t many places where you’ll run across an equally fashion-conscious bunch of people. I briefly considered the Wu Commons, but dismissed that idea for obvious reasons. I’m not sure whether you’ll agree, but I’d say people in the Arena are a little bit judgemental at times. This can be aimed at gear options, but just as easily at the look someone chooses for themselves. I’ve had so many people expressing a dislike for my Ice Wizard’s hair. People are superficial! Consequently many people put a lot of thought into their fashion choices in the Arena. Wands come in all shapes and sizes. First of all we have swords, staffs, axes, hammers and bows – the fairly normal sort of weapons. In addition, we also have flutes, skulls, floating eyes, floating books, guitars, crystals and that weird ball thing from Barkingham. Isn’t it lovely that we have such variation? Of all the shapes of wands, swords are still the most popular, with 37 % of overlords (which means 142 wizards) being of the sword variety. Staffs are not far behind: 31 % of overlords (119 wizards) used some kind of a staff as a wand. The proud number three is what you’ve been expecting all along, I bet: 61 wizards (16 %) carried a flute. After that, the amount of people carrying one shape of wand starts to dwindle. Only 4 % of the overlords used the floating creepy winged eye as their wand. These were usually not stitched. This is interesting, because apparently the design of this wand is attractive enough to our overlords. They leave it as is instead of stitching it to something prettier. Axes of various kinds are popular among 3 % of the population. Skulls are another popular design among 2 % of overlords, also not stitched. Before we get into the specifics of these wands, here’s an overview of where our overlords acquired their wands. The four most popular kinds of wands are wands that are dropped (28 %), wands that require a code (22 %) and wands from bundles (16 %) and packs (12 %). 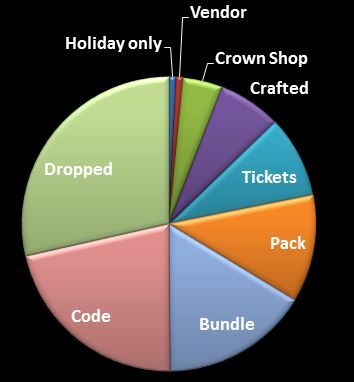 In addition, 9 % used Arena tickets for their wand, 7 % crafted theirs and 5 % used Crowns in the Crown Shop or at a Vendor. 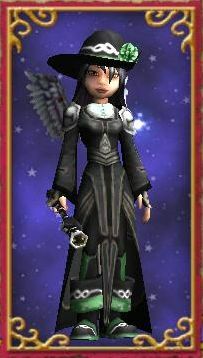 These are wands that are dropped somewhere in the Spiral. While most of them are no-trade, some can be sold in the Bazaar as well. These wands require a bit of farming, but the consensus amongst overlords seems to be that they’re worth it. 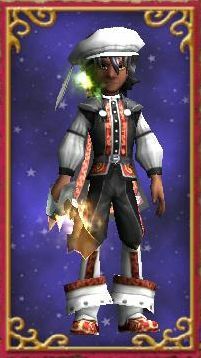 If we’re looking at the popularity of a single dropped wand, the two top contestants are the Avalanche’s Legendary Cutlass (12 wizards) and Redwind’s Viridian Blade (15 wizards). Both of these are very sparkly and have an unusual shape. 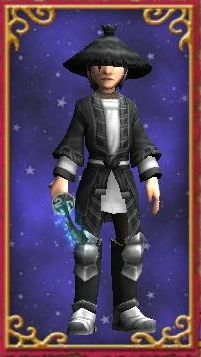 Another type of dropped wand, however, is also pretty popular: 19 wizards chose to stitch a Mooshu wand. Of these wands, Oyotomi’s Jade Blade and Plague Oni’s Sapphire Blade were the most popular. 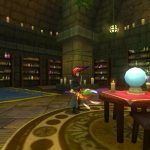 I found this handy guide with pictures of all the Mooshu wands. I love these wands and have multiple wizards sporting one. They’re simple but elegant. Other popular dropped wands include the Lambent’s Cane of Radiance, which you can get from Lambent Fire behind a skeleton key in the Crystal Caves (AV). A total of 6 wizards used this wand, which is not a bad amount, if you think how short of a time that boss has been around. Another 6 wizards used Malistaire’s wands. This surprised me, as I wouldn’t have thought it would have been that popular to stitch. It seems the wand’s rough look and color scheme pleases some people. Also worth mentioning are the Soulsinger’s Soulsword (dropped by Ivan Soulsinger in the Drake Hatchery) and Winged Deliverance (dropped in Mirror Lake), both of which are beautiful swords used by 5 overlords each. 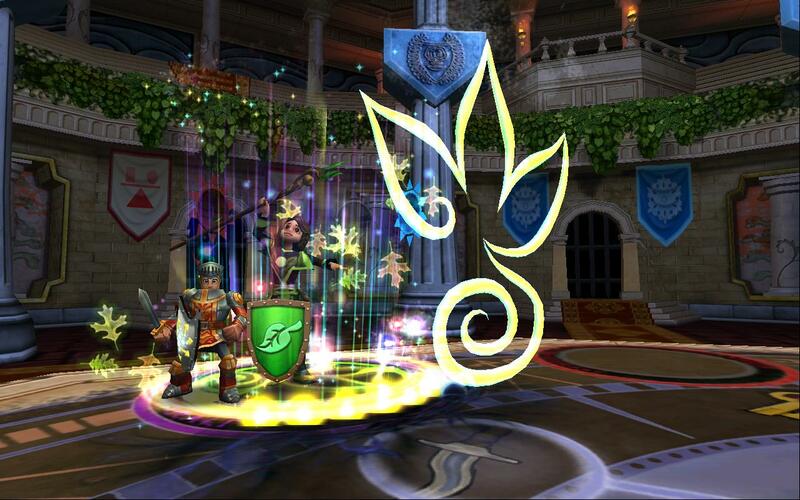 Code wands are wands you could originally only get by receiving a code from one of Wizard101’s official fansites. As a result, these codes were hard to get and people almost fought over them. 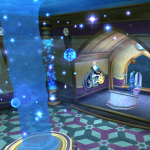 Right now it seems like the pressure has gone down a little, because you can now fish for these wands as well! 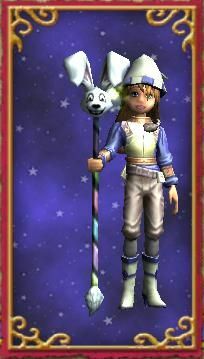 If you go to Elephant Graveyard in Zafaria, you can get these wands with a little bit of patience and luck. 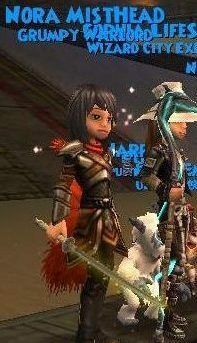 All duelist101 pride aside (Dragonclaw Blade in third place, yes! ), this list doesn’t contain many surprises. Of course Fog and Amaranthine are in first and second place. Blue Raptor has gained more popularity recently, giving it a solid fifth place. Valor, while only used once, is interesting because it’s very rare. I personally love the Warpwood Wand, so I’m glad it’s present even once in this list! Bundle wands are the third most popular group, but there is a decided of variation in this group. 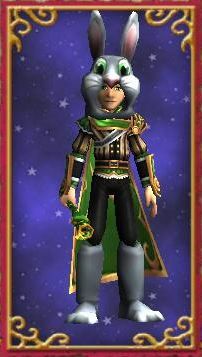 You guessed it, these are the flute wands from the Mega Bundle! 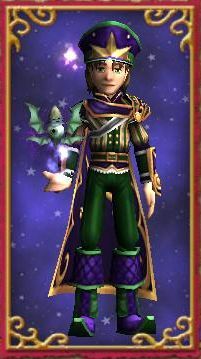 Of the 63 bundle wand overlords I collected, 61 were sporting a flute. The other 2 had a Mystic Grimoire. My 389 warlords carried a total of 46 pack wands, which came from a total of 15 different packs. The most popular pack is by far Terror’s Hoard, with 17 appearances. Second in line is Road Warrior’s Hoard, which accounts for 7 appearances. It’s important to draw attention to the fact that this guide accounts only for the pack wands that actually LOOK like pack wands. The amount of pack wands being used is much higher than apparent from this guide. Many who do have a pack wand, stitch it to look like something entirely different. 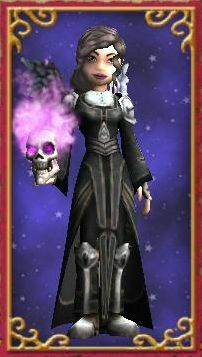 However, 17 people did seem to be fond of the floating eye look from Terror’s Hoard, while 7 didn’t mind the look of the floating skulls enough to waste crowns on stitching. There are currently only two wands available for Arena Tickets, so there isn’t much variation here either. 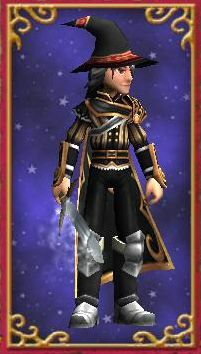 The Staff of Flashing Blades looks magnificent with its turning blades. 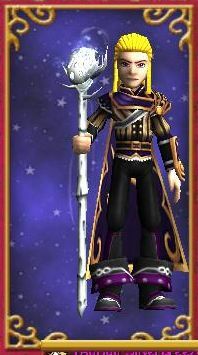 It’s of course also one of the best wand available for Legendary wizards, so no wonder it’s popular. Of the 16 people using the Staff of Flashing Blades, 11 were actually different wands, stitched to look like the Staff of Flashing Blades. The stitched ones were on wizards of all levels: from adept to prodigious. Another, slightly less popular arena ticket wand is the Duelist’s Dancing Blade, which 8 of the overlords favored. Of these, 6 were stitched. 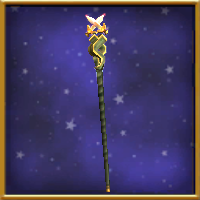 I suppose these overlords bought the level 10 version for 3000 tickets and stitched it to their actual wand. Of the crafted wands, there are two above all that have gained popularity: the Volcanic Staff (7 overlords) and the Staff of Stasis (5 overlords). Both of these are excellent choices, especially for Fire and Balance wizards respectively. 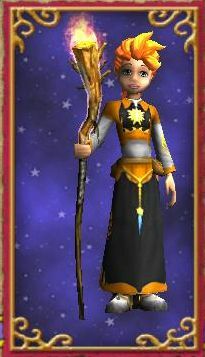 These are 2 of the 7 wands you can craft in Celestia (see our guide for more info). 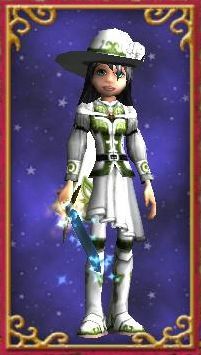 In addition, five people decided to craft one of the Khrysalis wands. It seems like these wands should be more popular than they currently are. It might be that people just aren’t aware they exist yet. If so, check them out here. The issue might also be that most of these wands are staffs, while people seem to prefer swords in general. 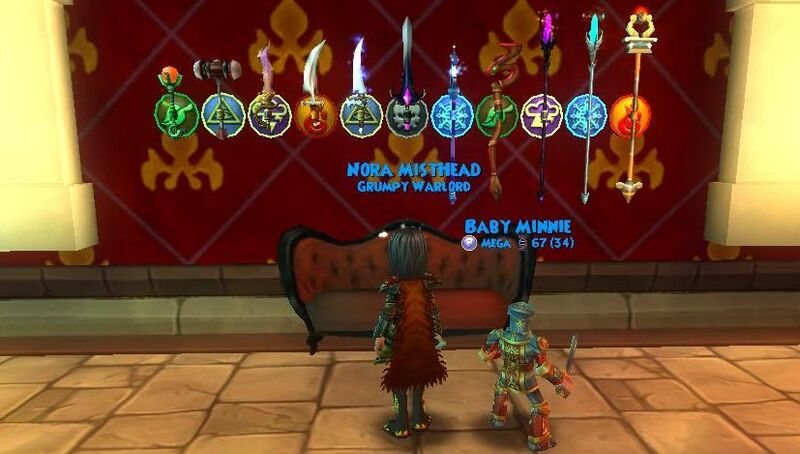 In addition, there were two people that crafted a wand in Grizzleheim: the Hammer of the Stone Sky and Winter’s Guardian Axe. There could be on additional one still: the Blade of Storm’s Fury. 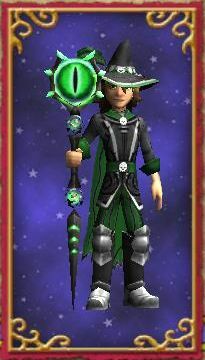 This wand looks almost identical to the Galvanic Blade. Hence, I had trouble placing these two in the right category. I ended up putting them under Dropped wands, because somehow I felt people are more likely to farm for a wand than to craft it. Crowns wands are not especially common, but one of them does stand out as fairly popular: the Cerulean Edge. 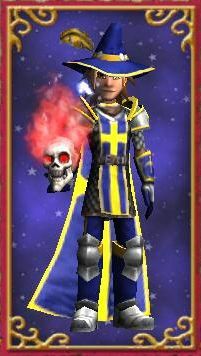 This yellow blade, used by 9 overlords, looks great when contrasted with a blue outfit! I prefer the more subtle but similarly shaped Dragonclaw Blade though. Second most common, with 3 appearances, is the Talon of Pestilence. 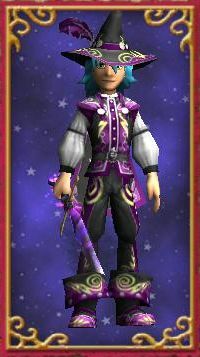 Not a bad choice for Storm wizards or those who love the color purple, I would say! 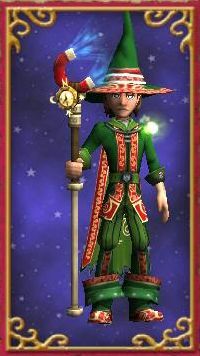 Holiday Only wands are fairly rare: only 4 people chose to stitch one of those. Two were Easter related, one sold around Christmas and one acquired from Pat o’Gold. And now… what you’ve all been waiting for… Here’s the top 10 most popular wands! As you can see from the list, flutes are currently overwhelmingly in fashion. This is a recent thing, which, I think, was happened when Kingsisle decided to make the Fansite Code wands available by fishing. 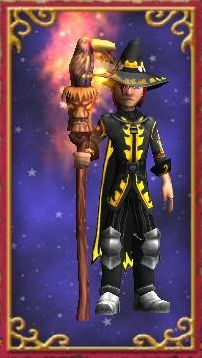 Suddenly, the Fog Staff and Amaranthine Staff (the previous most coveted wands) got a little bit too easy to get. It seems the Flute is too easy to get as well though, since everyone is using it now! 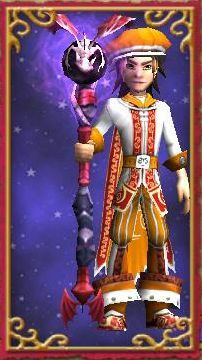 I have to admit that this is a pretty awesome wand. The casting animation and the music coming from the flute were both excellent choices by the developers. Other musical instrument wands, like the guitars and the lute, never got as popular. Our number 2 – The Staff of Flashing Blades – is interesting because not all of these wands were stitched. Sixteen of my overlords used the Staff of Flashing Blades as an actual weapon. The other eleven had stitched another weapon to look like the Staff of Flashing Blades. 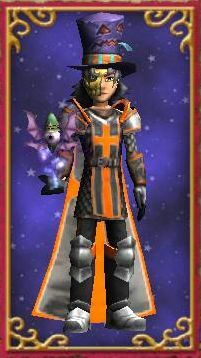 It seems like Kingsisle did a great job with designing this wand! People don’t always feel the need to stitch it to look prettier, and some people actually go out of their way to get the Flashing Blade look. 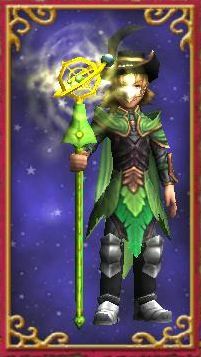 You can buy this wand for Arena tickets. Spots 3 till 6 are taken up by Fansite Code Wands: first comes the Fog Staff, used by 20 overlords. It’s near-twin, the Amaranthine Staff, follows with 18 overlords. Both of these are very similar. It has always seemed to me that those people who had Fog wanted Amaranthine, and those who wanted Amaranthine had Fog. As such, people must be very happy that these wands are more easily available nowadays. At fifth place, with 17 overlords, comes our very own Dragonclaw Blade. You can’t believe how proud I am of that! 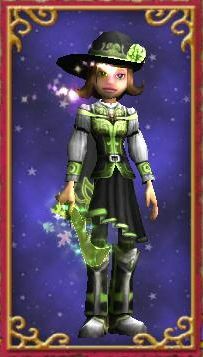 I’ve always feared that people might underestimate the quiet strength and beauty of the Duelist101 wand. Umbra Blade shines at sixth place. This has never been my favorite, but I can see how it might suit some people. Seventh place goes to a wand that attracts both males and females. Redwind’s Viridian Blade is interesting enough to do well with the guys, but pretty enough to satisfy our girly overlords. The leaves streaming off its curvy blade are gorgeous. This is definitely a wand worth farming for! 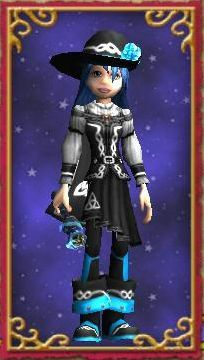 You can get it from Valeska Redwind, who resides in the Secure House in the Drake Hatcher (DS). Eighth place was a surprise for me. I didn’t expect to see nearly as many of the Avalanche’s Legendary Cutlass as I did. Twelve overlords decided that this was the perfect wand for them. 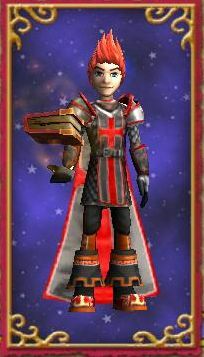 You can farm for this one in the Drake Hatchery as well, from Avalanche in the Skythorn Tower. I wasn’t aware prior to writing this guide that Dragonspyre was in fact the source of such beautiful weaponry! Ninth place goes to the Fortune Teller’s Peerless Eye. This one is another of those “too cool to stitch” wands. Apparently, due to its original and slightly frightening look, it is common for overlords to decide to just go with the natural look of the wand and not stitch it! However, I did run into quite a few of these stitched into other wands as well. All in all, with 11 overlords sporting it, this is nevertheless a fairly popular choice! Last but not least: in tenth place shines and sparkles the Cerulean Edge, a less subtle version of the Dragonclaw Blade. 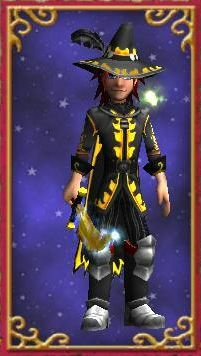 This yellow blade looks awesome when combined with a dark blue outfit, I think. 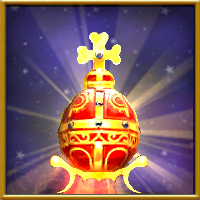 Get it in the Crown Shop today! Did I miss anything you really wanted to know? what robe is Aarron WaterCaster wearing? Hi MIchael. 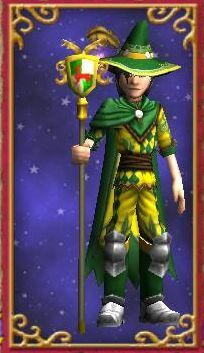 He is wearing the Evergreen Raiment only available from the (now retired) Evergreen Bundle. You can receive it as a reward from fishing in the Elephant Graveyard (Zafaria). If you’re going for the appearance, also try the Ascendant Staff, dropped by Gurtok Firebender, or the Krokopatra One-Shot Gauntlet also drops various staffs that look identical to the Staff of the Imperator. Happy farming!